During intense training, represent the colors of the team by wearing a quality Venum Speed Camo Urban Rashguard. The vibrant design originates from an original combination of polyester and elastic; bringing you the right amount of supreme comfort. Venum has integrated its compression technology to promote effective performance during workouts and faster recovery time. The Venum Speed Camo Urban R ashguard has a bright and unique detail of “Venum Fight Team" proudly printed on the chest and back. This rashguard is durable and longer-lasting. Its ultra-reinforced seams demonstrates its strength. Whether you are standing or executing groundwork, the Venum Speed Camo Urban Rashguard, is able to withstand the motions. Like a second skin, it will protect you from injury and minimal friction. Its silicone band at the waist guarantees full coverage and stays in place. Quality at its finest. Be a member of the Venum Team! Venum only offers the best! "Compression" technology: improves your blood circulation to the muscles and speeds up your recovery time. Slim fit leaving no outlet to your opponent. Elastic waistband located at waist for keeping your rashguard the right place for a perfect coverage of your body during the fight. Available in design Sleeve and Long Sleeves. 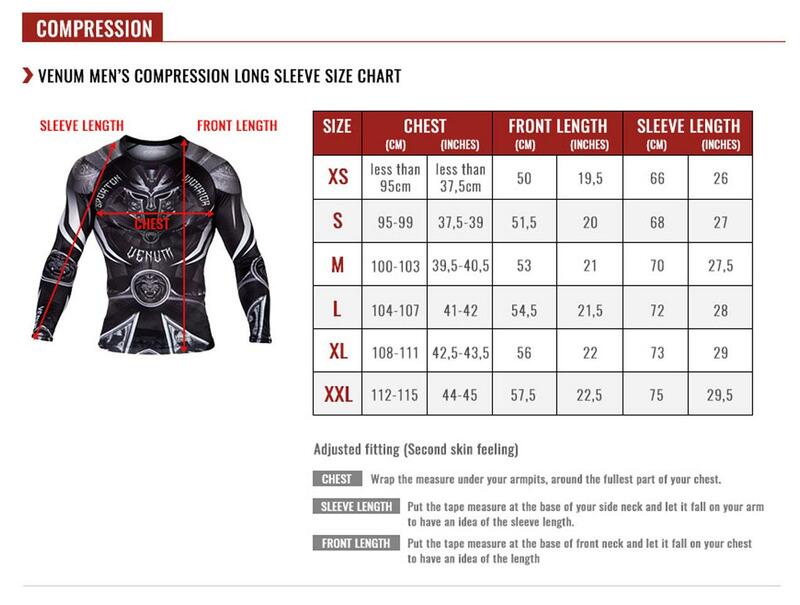 Warning: if this is your first rashguard, we recommend that you opt for the larger than your usual size to limit the hyper compression effect.